The problem with lighting on classic cars was the technology available at the time. 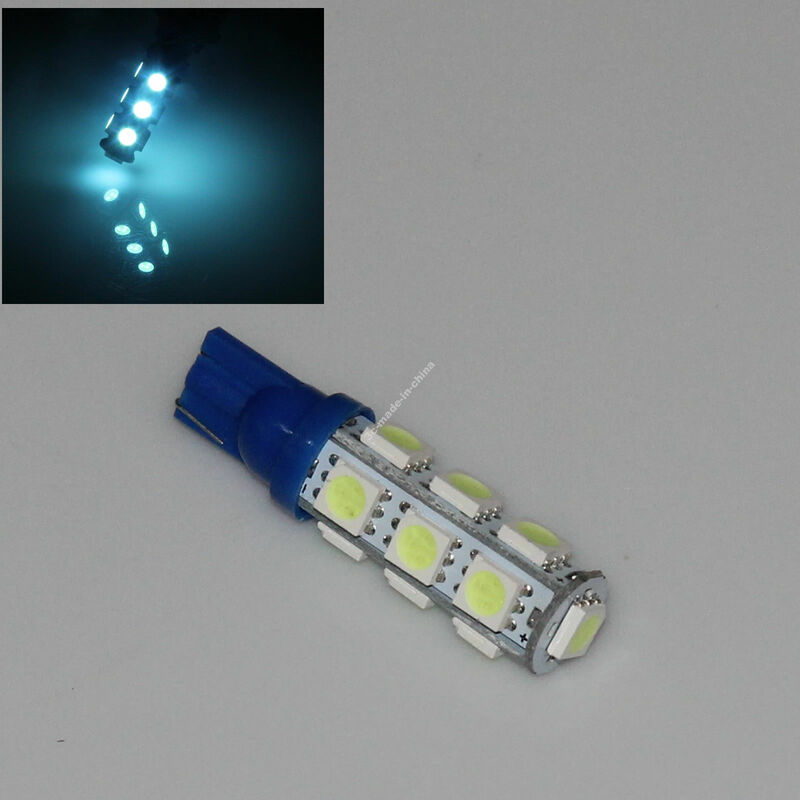 The Light Emitting Diode (LED) has since flourished and become wildly available for almost any application. You can literally get an LED with any connector and color you want. It's fairly easy to pick what color you want your dash to be, but the hard choice is where to get them from. The bulbs used in Turbo Camaro were purchased off eBay on an auction labeled "194 13 5050 SMD LED Crystal Aqua Ice Blue Car Light Lamp Bulb DC 12V". The picture below is the actual picture of the purchased item. Say what you want about eBay, quality items can be had if you spend the time researching your options and considering the manufacturing source. The purchased lights were associated with a brand name out of China, and web searching revealed only positive reviews of the brand. Price comparisons against local shops and online stores were unfair as these bulbs were a quarter of the cost. Also consider the potential complications if the item were to be defective. 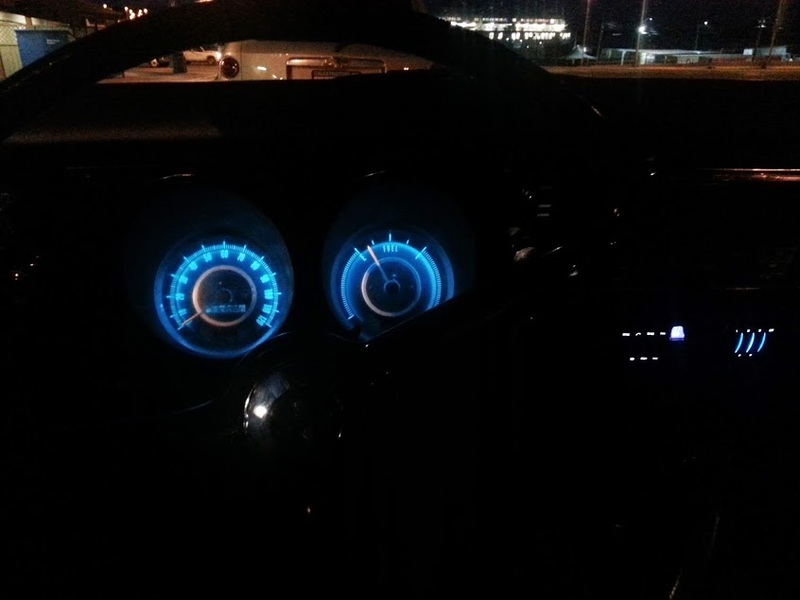 One dash light burning out is not going to change anything at low or high speed. Off to the left is what Turbo Camaro's dash lights look like at night. They are a bright modern blue but maintain the classic analog gauge appearance. Keep in mind the stock gauge cluster uses white (almost yellowed) bulbs that shine through a green film, so unless you plan to dismantle the gauge, your new bulbs need to be bright enough to overpower the green. Also notice the dash lights are activated and dimmed by the headlight switch. The bulbs you select need to be dimmable or they will be at maximum brightness all the time. Turbo Camaro still has an old style dome, shift indicator and heater control light bulb. Once these bulbs are updated to LED's or something fancier, the details will be posted here.